Sparta bed and breakfast travel guide for romantic, historic and adventure b&b's. 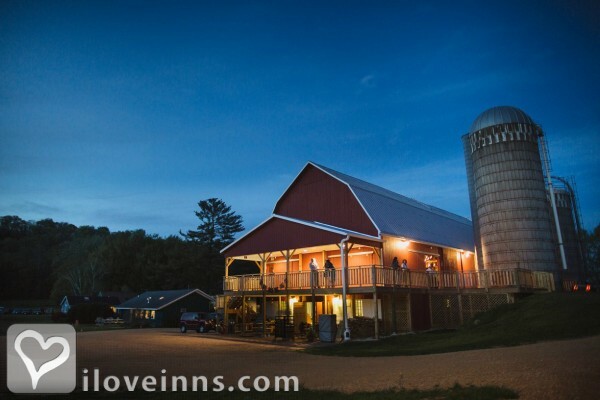 Browse through the iLoveInns.com database of Sparta, Wisconsin bed and breakfasts and country inns to find detailed listings that include room rates, special deals and area activities. You can click on the 'check rates and availability' button to contact the innkeeper. Famous Elroy-Sparta Bike trail, golfing and good restaurants. Parks, ball games, Amish, the Kids Space Museum, M&M Ranch, Museum of Modern Technology and the Hidden Trails Corn Maze. By Grapevine Log Cabins. Sparta's bicycle trails, quiet country roads and quaint businesses offer year-round fun and activities. Pedal the Elroy-Sparta State Trail for unbelievable scenery during the spring, summer and fall seasons. In the winter, snowmobile or cross-country ski on the trails and the vast land in the Sparta area. Visit Sparta's two unique museums; the Deke Slayton Space & Bike Museum and the Little Falls Railroad and Doll Museum. Stop in Sparta's shops for handmade items and crafts from the area's large Amish community. By Franklin Victorian Bed & Breakfast. Amazing cycling - Elroy Sparta and La Crosse River State Bike Trails, a Rails to Trails Paradise! The tunnels, the landscape, the wildlife-beautiful all season long. Enjoy the local shopping, dining and Concerts in the Park. Fish, canoe, hunt more than our 15,000 acres of public access lands. See a piece of the moon at the bike & space museum. The one-room school house, railroad and doll museum, the grotto-endless parks and peaceful, friendly relaxing days and nights By Justin Trails Resort.